A little Phillies chat for the disgruntled non-knitting readers: Two fairly big deals this past week for our Fightins. They traded highly-touted [aren't they all?] prospect Mike Costanzo, speedster Michael Bourn and somebody else whom I can't think of right now [I'm sick and it's early in the morning....] [no, wait, it was Geoff Geary!] to the Astros for formerly-brilliant closer Brad Lidge. I have generally positive feelings about this trade, but a few reservations. When the Phillies signed Costanzo, they showed home video from when he was about 3 years old just tagging the ball at some local ballfield. It was startlingly impressive. He's had some trouble as he's moved up lately, so I'm not sure if that early promise will be fulfilled. The caveat is that the Astros general manger is former Phillies general manager Ed Wade, who signed Costanzo (and Bourn, I suspect), so I'm hoping he doesn't know something we don't know. If you know what I mean. I loved to watch Bourn play - it's been lovely to see the formerly-leadfooted Phillies play with such speed and aggression on the bases and in the field. But with Shane Victorino, you don't really need Bourn. In other pitching news, the Phillies sewed up middle reliever J. C. Romero for a couple of years, which is great. He's pitched terrifically and he's kind of kookily intense out on the field, which is entertaining and good to see. Good move, Phils. 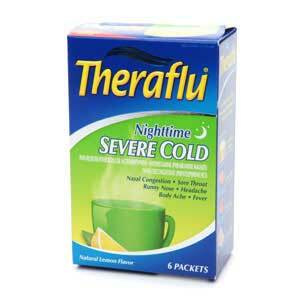 Now, back to hunkering down with my new best friend, T.F. Sorry to hear that you're under the weather. Thanks, Suzanne! And congrats on your Red Sox victory!! But I don't want to hear that you're not a Phillies fan, because I KNOW YOU ARE. RIGHT? RIGHT?? Just so Michael Costanzo doesn't turn out to be the next Ryne Sandburg. Trading with your former GM may not be quite as dangerous as trading with your former farm director. (We hope.) In the meantime, we can always depend on Wes Helms. Anon - "Wes Helms" - HA HA HA HA HA HA HA HA HA HA HA - good one! !